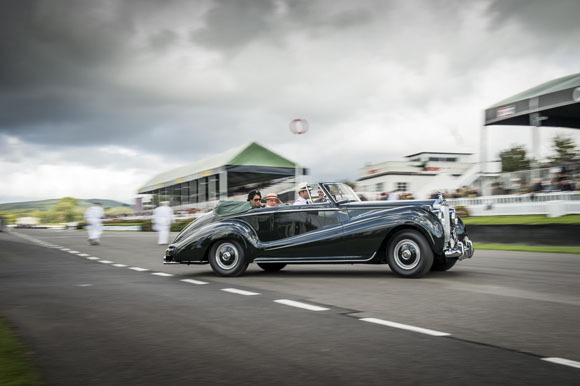 Rolls-Royce celebrated a record Goodwood Revival over the weekend as they rolled out their latest vehicles aside some very special coachbuilt history. The famous luxury car manufacturer entertained the tens of thousands of visitors to the world’s most popular historic motor race meeting in true Rolls-Royce style. 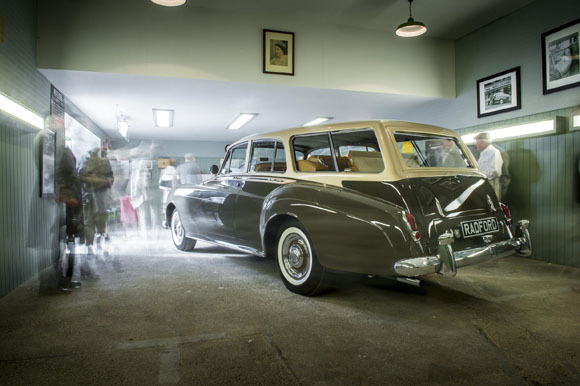 The Rolls-Royce Radford building at the March Motor Works – this year titled ‘March Mews SW1’ – presented an appropriate tribute to the ‘Finishing Shop’ of Harold Radford (Coachbuilders) Limited, South Kensington. Harold Radford & Co Limited were long-established retailers of Rolls-Royce motor cars who, under G H Radford, developed a bespoke coachbuilding business in the late 1940s named Harold Radford (Coachbuilders) Limited. The coachbuilding business became synonymous with amendments to suit the rural lifestyle of the landed gentry, developing their ‘Countryman’ range of conversions to Rolls-Royce motor cars. 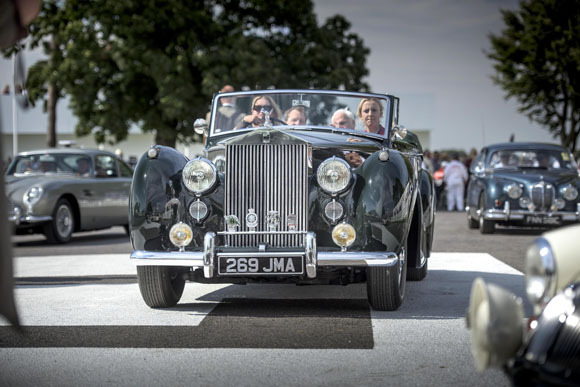 Rolls-Royce was represented on the Motor Circuit throughout the event by a handsome 1954 Rolls-Royce Silver Dawn Drophead Coupé by Park Ward (above), finished in Brewster Green, with Dark Green hood and Green hide. One of only 28 Silver Dawn Drophead Coupé models to be built, this model was one of only eight to feature ‘high line’ wing styling, making it an exceptionally rare motor car. The car was very kindly loaned for the occasion by a customer of Rolls-Royce.